Giovanni Botti, M.D., is the head manager of Villa Bella Clinic, Salò, Italy. He took part as faculty member to many aesthetic surgery courses and congresses and performed demonstrative surgical operations in various hospitals worldwide. He is the author of four complete books: «Liposuzione ambulatoriale» (1988), «Aesthetic surgery of the aging face» (1995), «Aesthetic mammaplasties» (2004), «Midface and neck aesthetic plastic surgery» (2010), translated in English and Spanish, and wrote chapters of several textbooks together with 71 scientific articles. 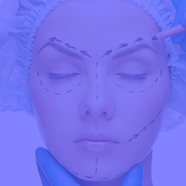 He taught aesthetic surgery at the post-graduate aesthetic surgery class of Pavia University and at the aesthetic surgery Master courses of Milan University. Now he is clinical professor of Plastic Surgery at the Verona University and teacher of Aesthetic Surgery at the Siena University. He is also a teacher in the Master Courses of Aesthetic Surgery of the Padua University, of the Rome University, of the Genoa University, of the Wien University, and is the director of the annual Course “Vesalius» of the Bruxelles University. Still a place for sub-periosteal midface lift?